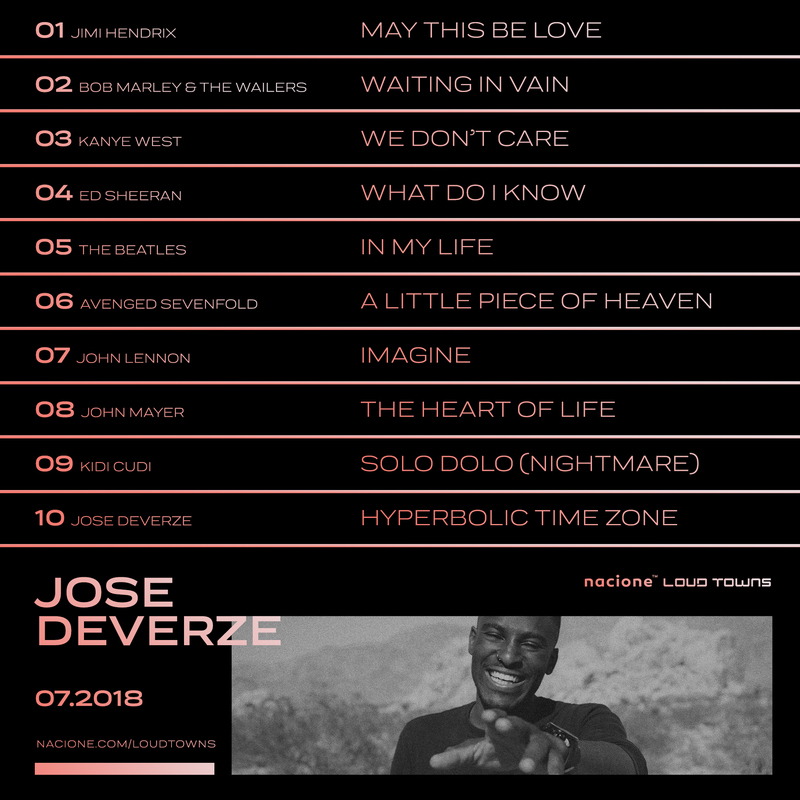 From Jimi Hendrix to John Mayer, Jose Deverze mixes rhymes with mood, joy with beats. 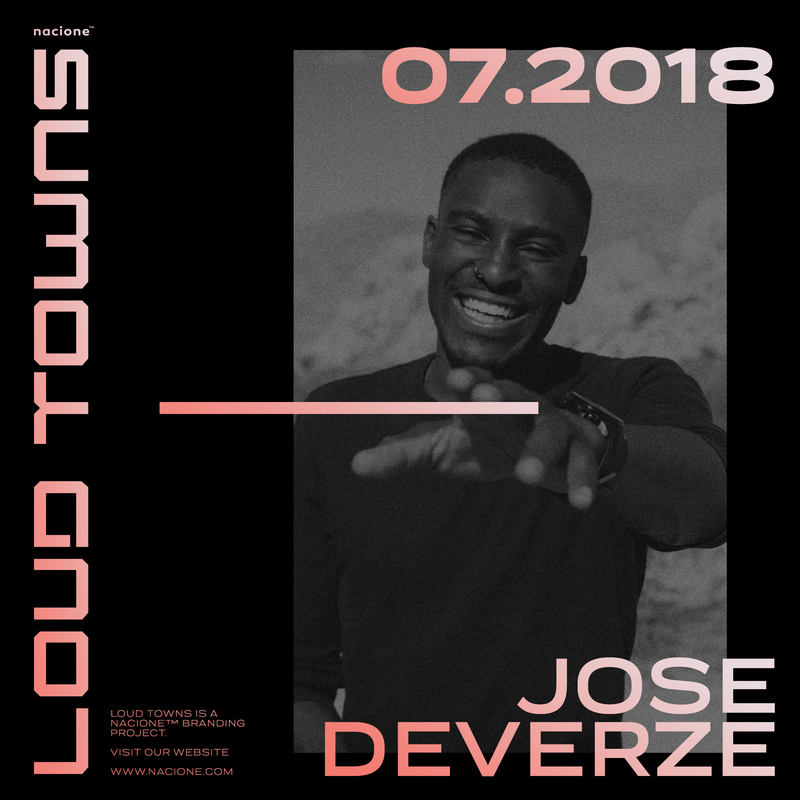 In July, our playlist is made by Jose Deverze, a musician living in Los Angeles, telling us his inspirations and hyperbolic secrets. 01. Talk about your inspirations to create music. Who are your idols, your heroes, and also what in the world is the best thing to activate your creativity. I love to write about real life situations and things that have happened to me in real life. My musical heroes are John Mayer, Jimi Hendrix, Ed Sheeran, Bob Marley and Kanye West. The best thing to activate my creativity is a guitar. And of course Mary-Jane haha ! 02. Tell us a little about your creative process to write your songs or produce your music. My creative process depends on the mood or the day. Sometimes, I can come up with lyrics out of nowhere and then I find a melody for it. Sometimes I can hear a melody in my head and I try to recreate the same sound on my guitar. Sometimes a song can take me about a month to fully create because I either have the melody but no lyrics or versa. Other times it flows out as smooth as a waterfall and it comes altogether in a bundle with a ribbon on top of it like on christmas day ! 03. The music market today is now way different from the past. What are the better thing that has come to these days and the worst thing? That is very true. Times have changed and they will change again in the near future. I think a very good benefit we have in our generation of musicality is that it is easier to get exposure and connect with people nowadays thanks to social media. The downside is since more people have chances, there are less real talents out there now. We have a lot of fake artists and pretenders that do it for different reasons. 04. Explain why you selected each song in your playlist. I selected every song in my playlist because they all mean something to me and have been severely listened to by me haha. I have a different connection with each song whether it's the lyrics or the melody. Sometimes it's just a song that reminds me of a time in my life. It's weird how I go through phases and you can tell a lot of them through the music that I listen to. But I'm sure you will enjoy it! 05. What is the connection between the music you produce and the city in which you live? Is there any influence? 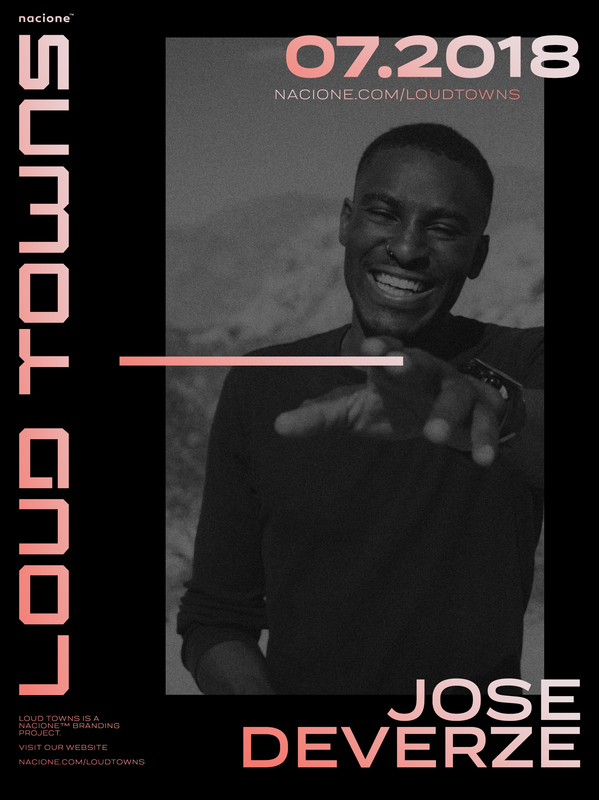 Well, the main connection is that the different cities in my music are where I was when I experienced whatever the song is about. The vibe of where I definitely have an influence on my writing. It happens that sometimes I don't have the inspiration or the feel for a song because the area I am in doesn't have the open mind I need or simply the vibe. 06. Did any other city inspire your work? How does the city’s musical scene contribute to this process? I would definitely say New York. New York just has this sense of If you have got nothing to do here, get out or get spit out. So once I got there, I wanted to work on things to not end up on the dark side of the war on economics. So it really motivated me to get moving and while I was moving, I was creating. 07. How can a place inspire an artist? A true artist is one with all that has life. So every places have different energies and different collectives of people, fashion, mentality, level of open land or like we like to call it “nature” etc.. All of those things have to do with inspiration whether people know it or not. Once again, it's all in the vibes. 08. 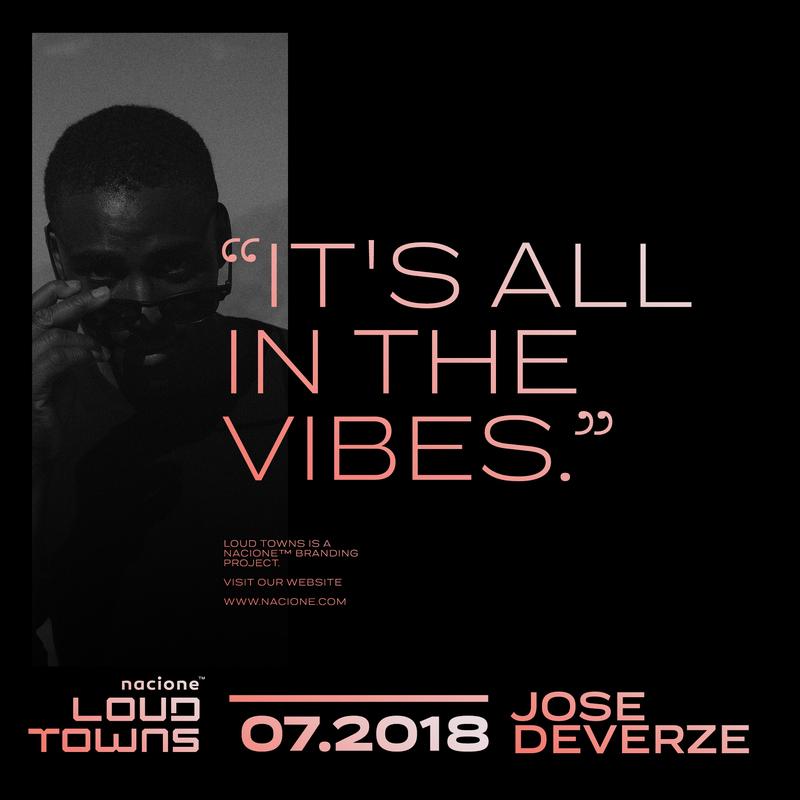 Is there any way to improve the musical scene in your city? Yes, by becoming the first one to become as big as Celine Dion or bigger but in my genre of music. Then they will be willing to listen. I feel like where I'm from people rather support artists from other countries. 09. For you, what is the power of music? Music is everything man! Its the thing that can be understood universally. Even animals react to the sound waves. Musicians have the power to start an army. Its what keeps us up when we're down, its what gives us strength when we're weak, its what wakes us up when we sleep. Its everything and more. We can know the history of time thanks to music, literally! I believe that none of us are ever going to understand the true power of music to its full potential.